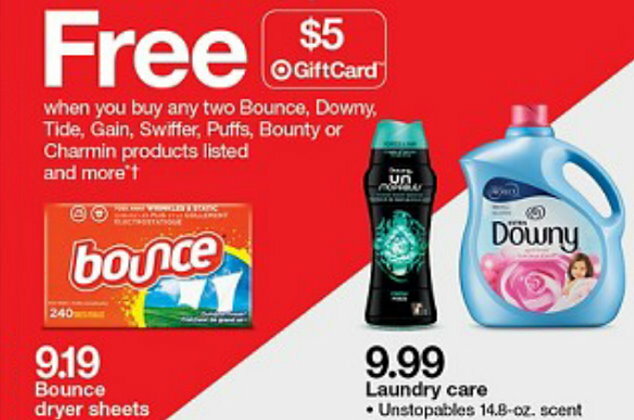 We have a new Checkout 51 Offer available to Earn $1 Cash Back wyb Bounce Dryer Sheets 60 count or larger. The rebate offer does not exclude the use of coupons, and even better the 240 count boxes are included in a gift card offer this week to make for a nice deal…. If you don’t want quite so much, you can still pay under .02 per dryer sheet if you buy a 60 count box….